The gallbladder serves as a reservoir for bile, a yellow-green fluid produced in your liver. 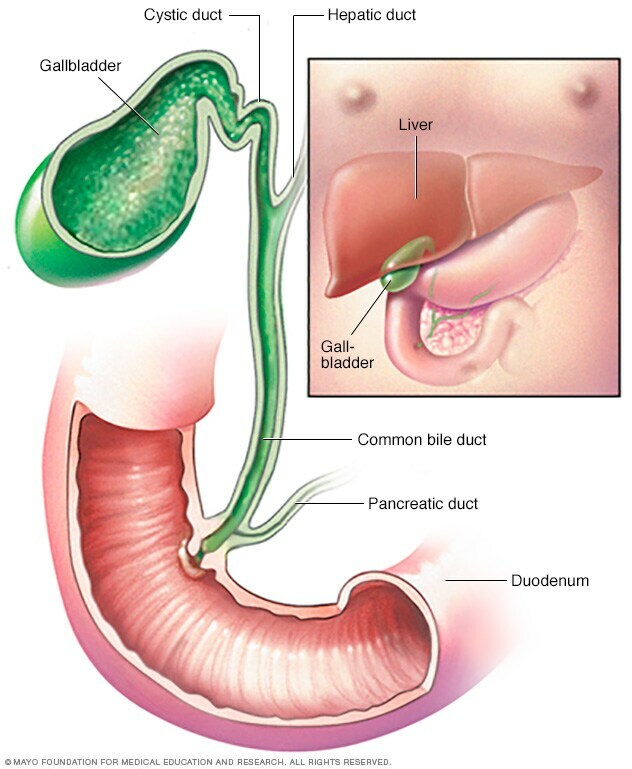 Bile flows from your liver into your gallbladder, where it's held until needed during the digestion of food. When you eat, your gallbladder releases bile into the bile duct, where it's carried to the upper part of the small intestine (duodenum) to help break down fat in food.